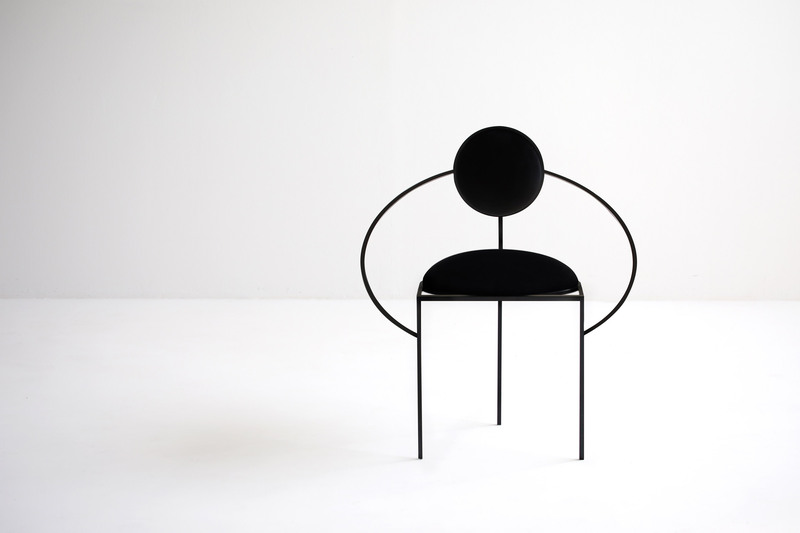 British designer Lara Bohinc was inspired by the shapes of planets and their orbits when designing her first collection of chairs. 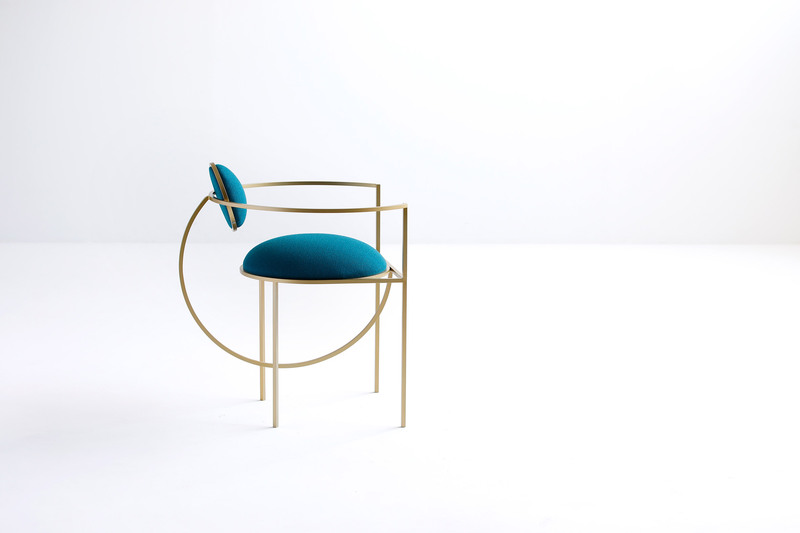 The "celestially inspired" furniture collection, titled Since the World is Round, features three geometrically shaped chairs called Solar, Lunar and Orbit. 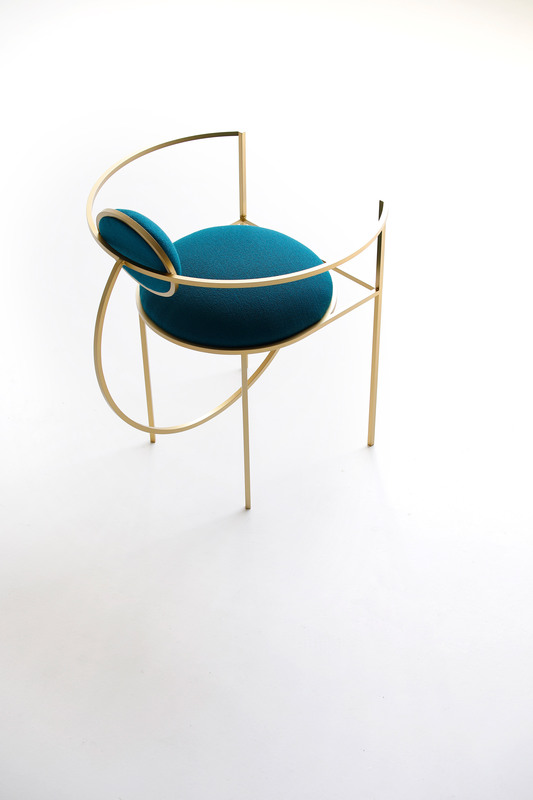 Bohinc based the lines and shapes of the chairs on the "gravitationally curved trajectories" of planetary and lunar orbits. "Planets have been a constant theme in my work because I have always been fascinated by their spherical shape and their graceful movement," Bohinc told Dezeen. "To me, these spherical forms are simultaneously ancient and futuristic." According to the designer, the three chairs are based on geometric studies of the sphere, the circle and the semi-circle. Each also draws on her fascination with the universe. 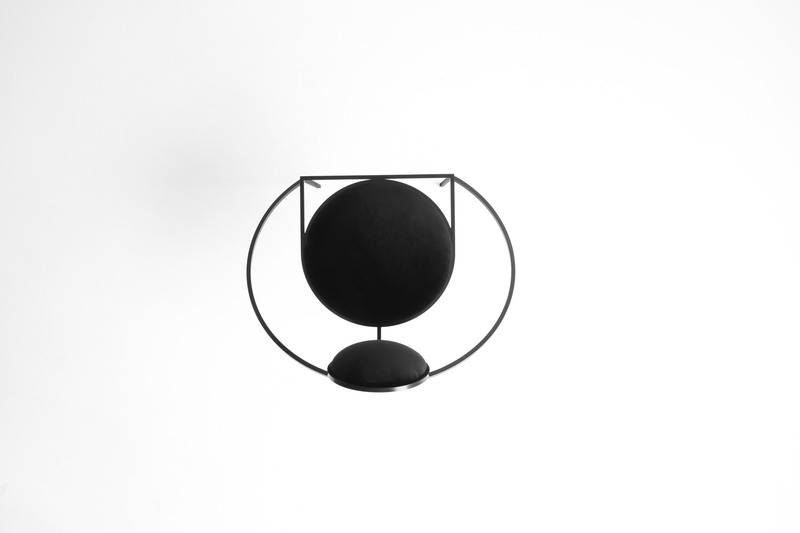 The Solar chair features an asymmetric frame, with shapes designed to represent the rising and setting of the sun. 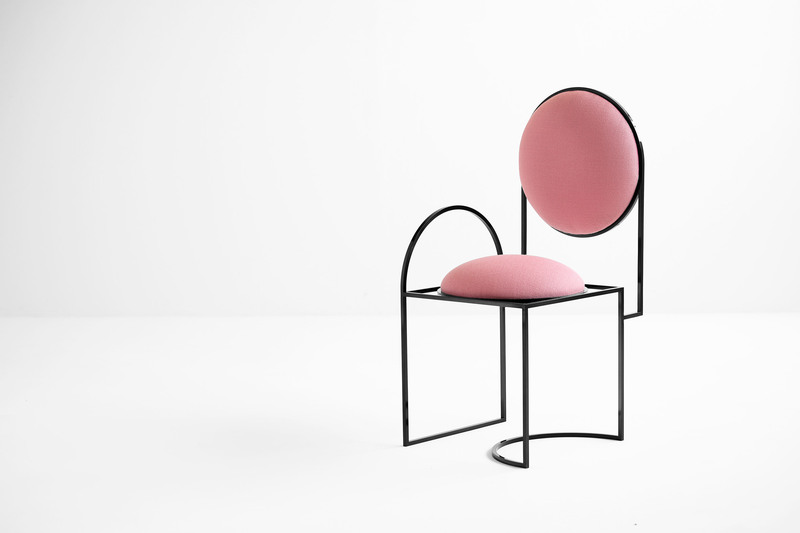 The Lunar chair has two encircling crescents as armrests and a smaller circular backrest that, like the moon, "circles its planet on an orbit of its own," as Bohinc explained. 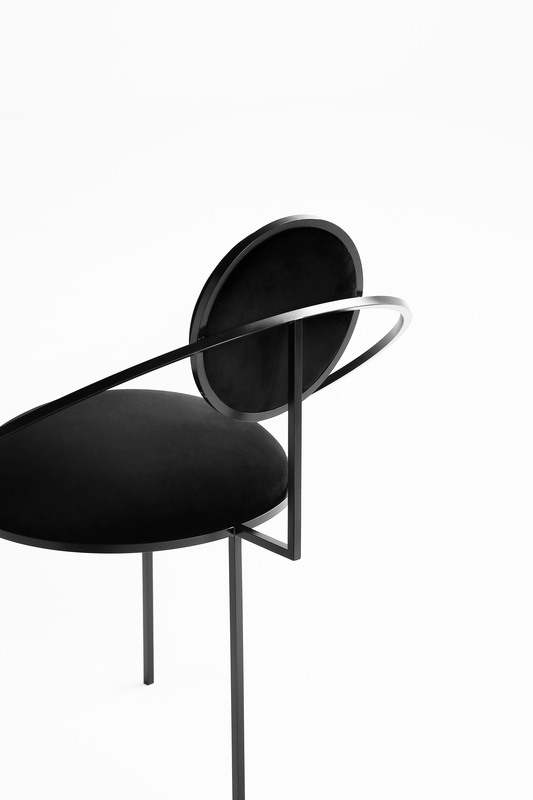 Both circular armrests of the Orbit chair curve around the backrest in support, before arching down to form the front legs. 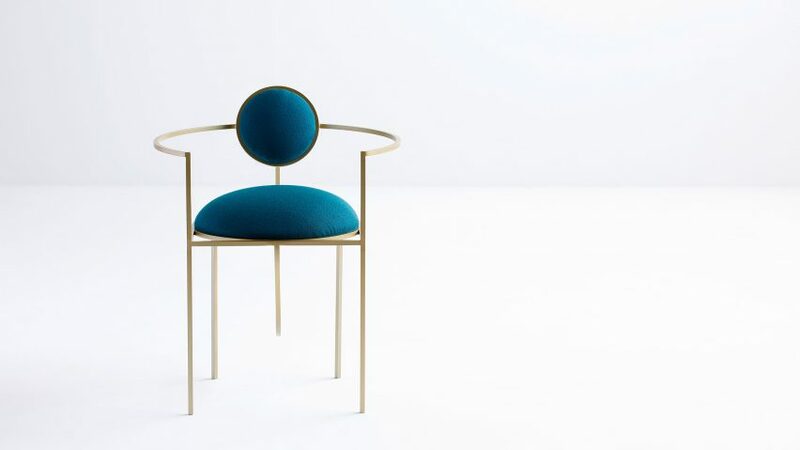 The upholstered seat is intended to represent the moon in orbit, while a single rear leg is designed to reinforce the chair's simplicity provide more space around the space around the seat. The collection's title, Since the World is Round, takes its name from Bohinc's "obsession with all things round and spherical." "To me, the circle is the beginning of everything and is a perfect form. It's an infinite shape, with no beginning or end," she said. 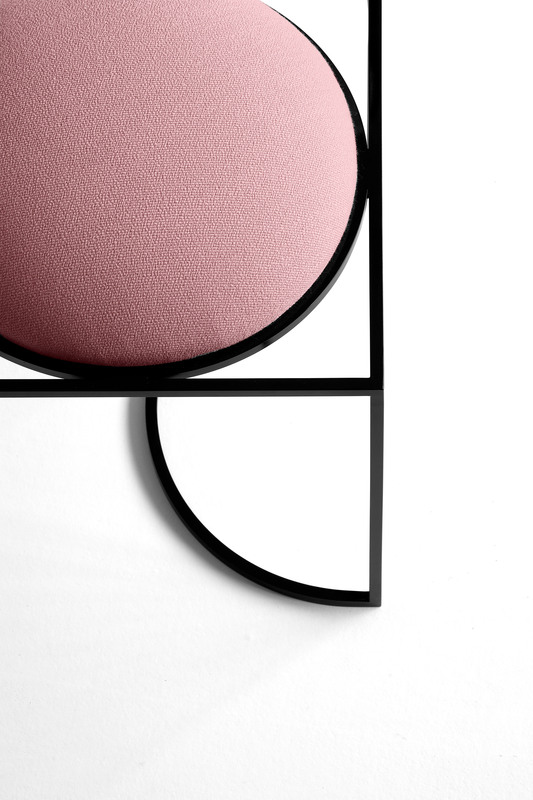 "I have always loved playing with the geometry that the circle yields and the design language that follows has no hard edges but nevertheless retains a pure and simple form; one that is both geometric and feminine," she added. Each chair is constructed using thin square rods of galvanised steel. Seats and backrests are upholstered with Kvadrat wool fabrics in orange, red, pink, petrol and black. The chair frames are cut both by hand and by laser, before being welded at the designers' workshop in Italy. They are then hand-polished and coated with paint in a black, dark bronze or brass colour. "I wanted the frames to appear delicate and lightweight, as if they might float away, were it not for the puffy upholstered seats and backrests, that create a sense of weight and gravity," Bohinc told Dezeen. "My aim was to create an effect of floating discs reminiscent of puffy marshmallows, caught within strong but delicate frame construction," she continued. 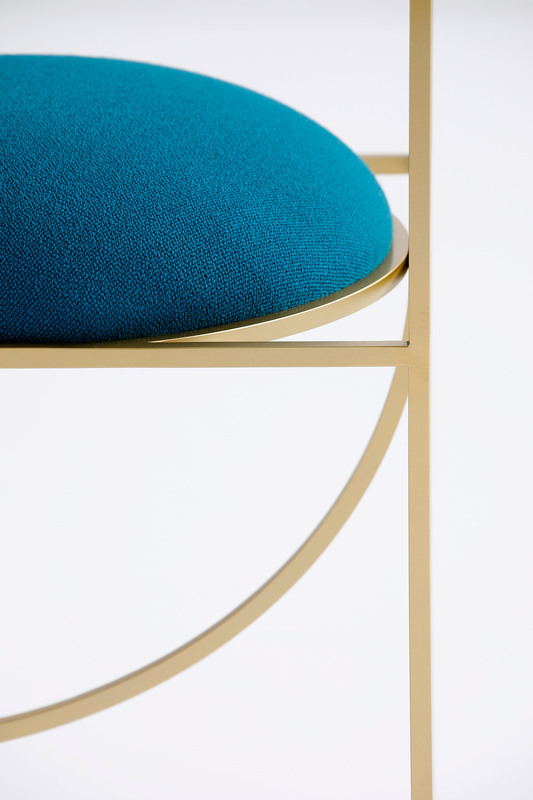 This is the first Bohinc, a former jewellery designer, has delved into chair design. She made her debut in lighting design back in May 2017 with lamps made to look like colliding orbs. Bohinc's Since the World is Round series also includes a vanity console and matching chair, and home accessories comprising of vases, candlesticks and boxes. Each piece was manufactured in collaboration with London-based gallery Matter of Stuff. The full collection will be on display during Milan design week, which takes place this year from 17 to 22 April, at the Alcova exhibition on Via Popoli Uniti. Images courtesy of Matter of Stuff.